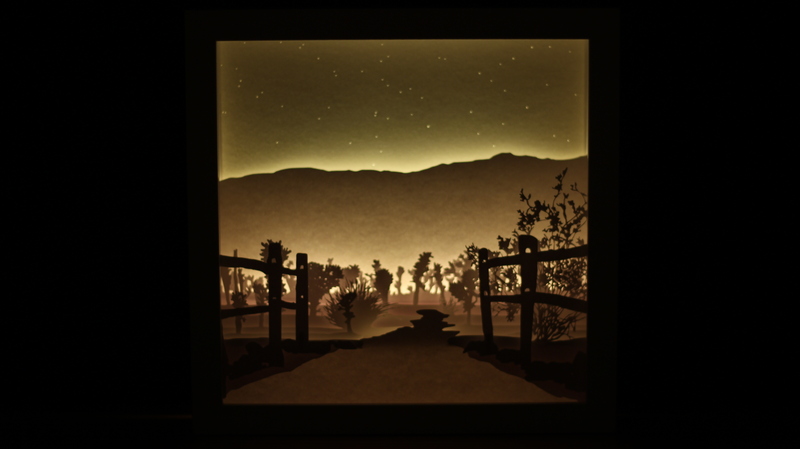 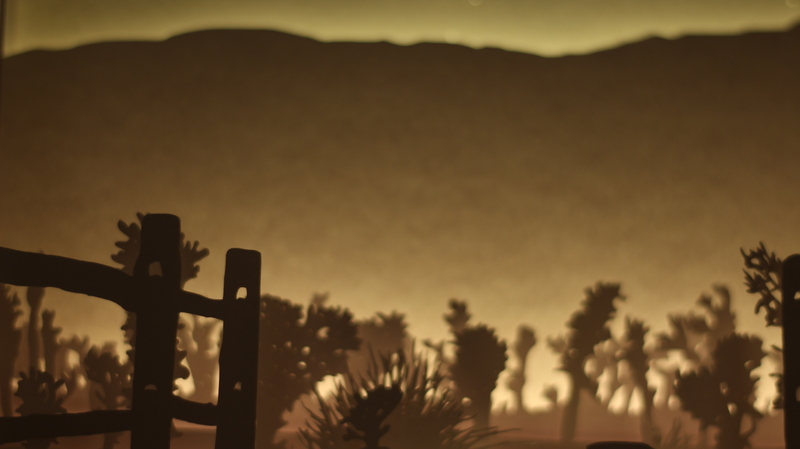 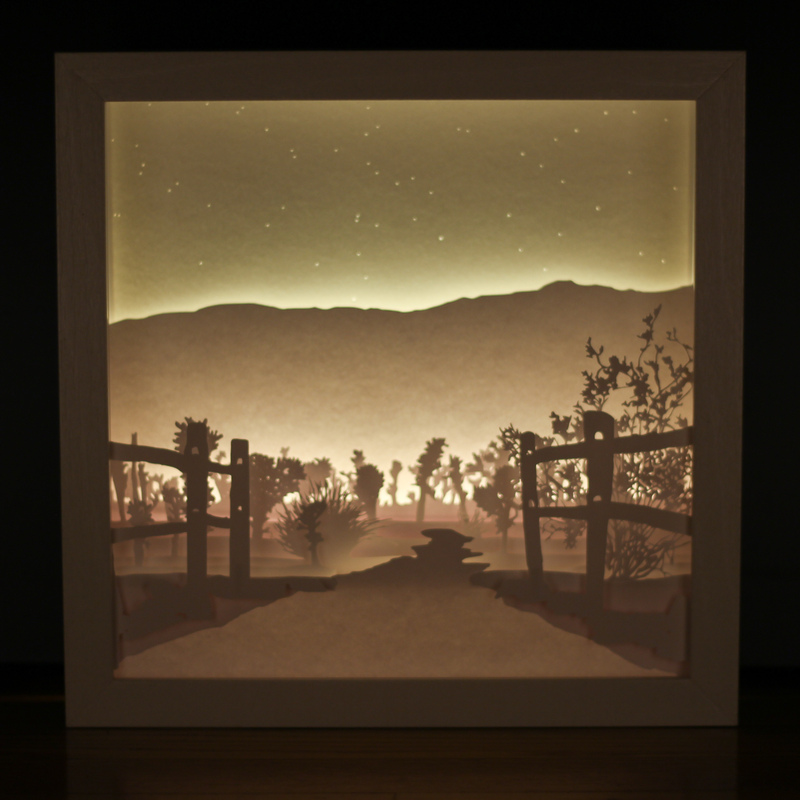 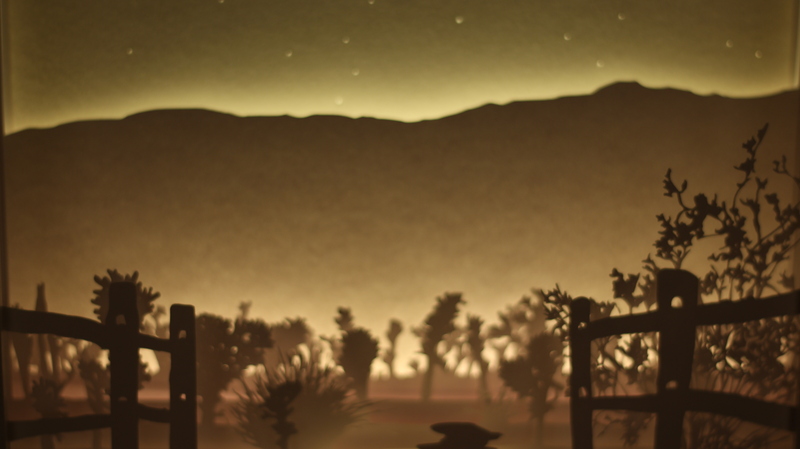 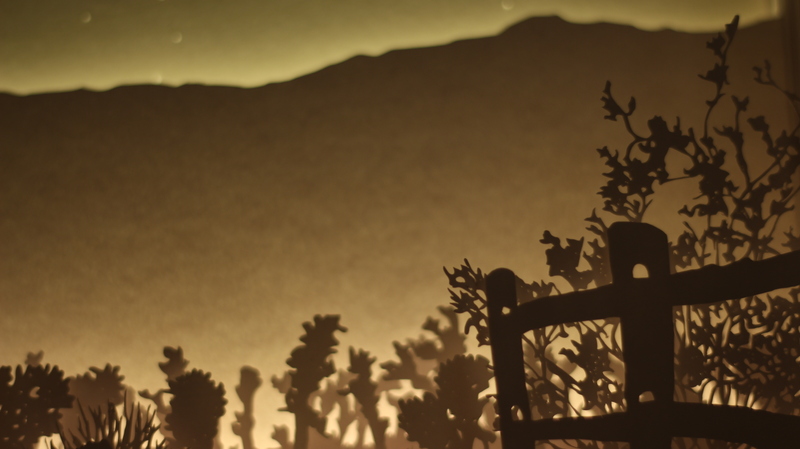 In Scene Three, Paperscaper transforms the features of Cholla Cactus Garden into lightbox art. 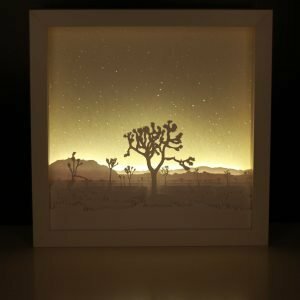 In this piece, cholla cacti and other desert plant life are recreated using layers of cut paper and LED lighting. 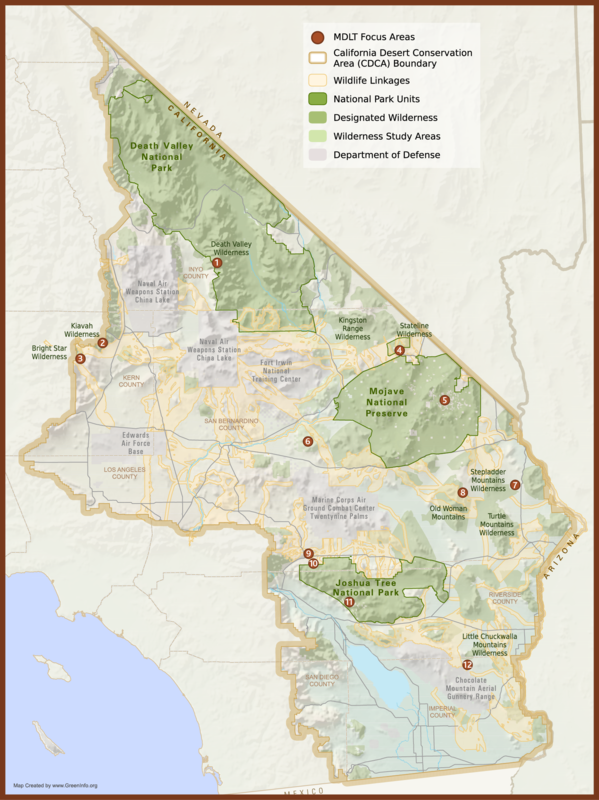 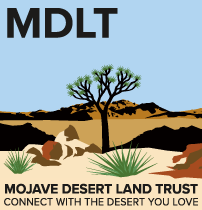 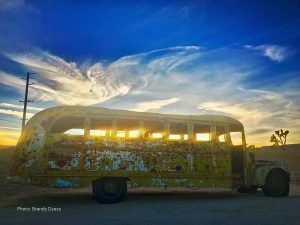 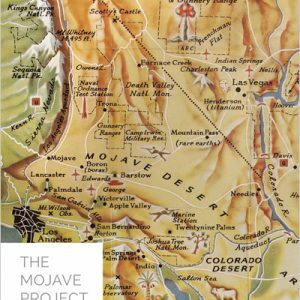 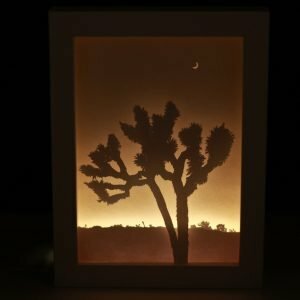 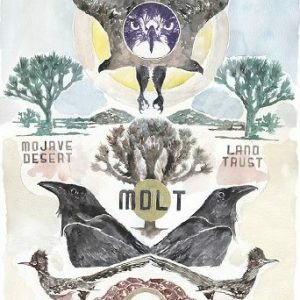 *Artwork made by Paperscaper are based on actual photos taken in Joshua Tree National Park and the high desert.